According to Forbes, there are four keys to increasing sales revenue: strategy, structure, people, and process. 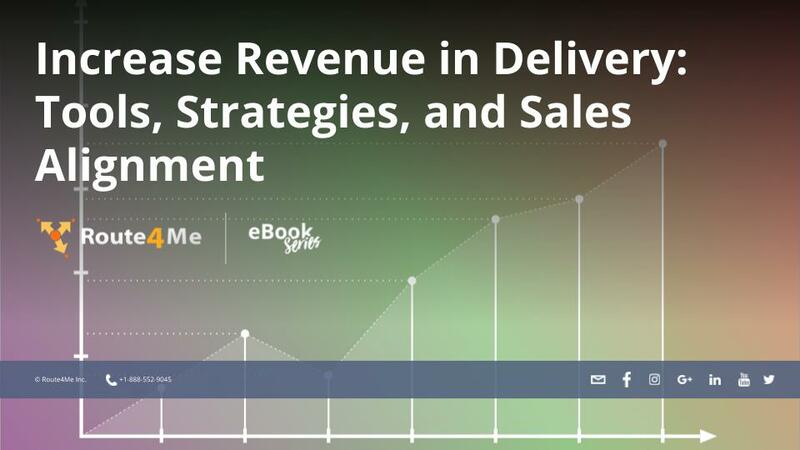 Strategy drives powerful sales. Structure holds the strategy together. Having the right people allows you to gets things done, and using an efficient process helps everything go smoothly.Forbes forgot about one thing, though: technology. Having the best delivery technology will give you a serious edge over your competitors. Specifically, route optimization software is the technology you need to win customers over your competitors. With route optimization software, you can save time, save gas, and make more money. Using route optimization software guarantees that every route you give your drivers is 100% accurate and optimized. Your deliveries won’t be delayed, so your customers will stay happy. Of course, optimized routes won’t do you much good if your drivers don’t actually follow those delivery routes. With GPS tracking, you can see where your drivers are and how fast they’re going in real-time. Whenever you want, you can check in on a driver and make sure they’re sticking to their route and staying on schedule. You probably don’t have time to just sit around and watch what your drivers do all day. You’re running a business! Ain’t nobody got time for that! Thankfully, route planning software saves GPS tracking history, so you can review your driver’s movements at your own convenience. Route planning software also allows you to create mock routes, which will show you how much it would cost in labor and fuel to visit a hypothetical set of addresses. This is helpful for when you’re bidding on a contract. Knowing exactly how much a route costs lets you set your bid so that it’s low enough for you to be competitive, but high enough for you to turn a profit.